You work incredibly hard perfecting your craft. You deserve images that mirror the movement and artistry of dance. The combination of dance and photography can yield amazing results. Let's work together to create images that truly reflect the beauty of dance. We'll discuss the specifics of your session such as the outfits you'll be wearing as well as hair & make-up. I'll also answer any questions you have and we'll schedule your session. 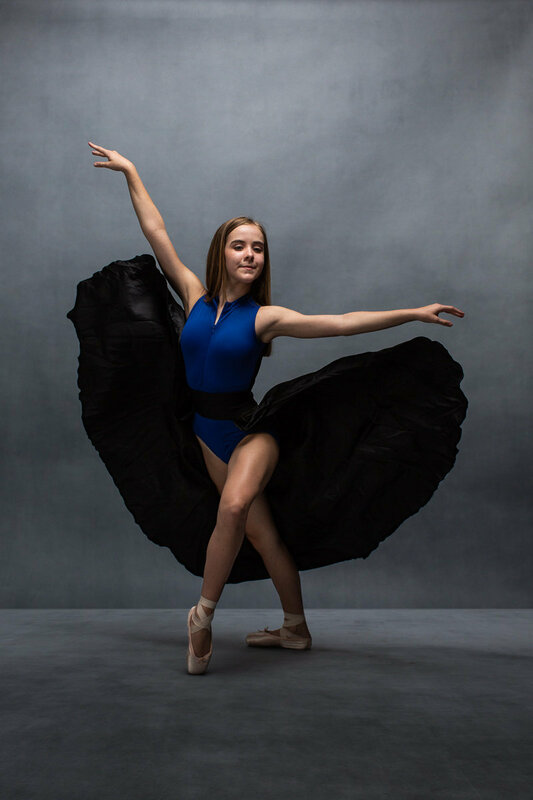 Dance sessions are $500 and include 10 edited, hi-res, digital images. No need to purchase any prints through me as you’ll have the digital files and the freedom to print them as you wish. Most sessions run three to four hours. However, I don't limit my sessions or the amount of outfits you'd like to wear. I want to make sure we capture the very best images of you without the pressure of a clock. Give me a call, send me an email or complete the contact form below. Let me know that you're interested in booking a Dance Session. We can then discuss the details and schedule your photoshoot. I'll also answer any questions you may have. A $100 deposit is due at the time of booking and can be paid by check or online via credit card.